Athens has always been a top destination to visit amongst tourists, even though in the last few years the economic crisis has affected the lives of the locals in this historical and beautiful city. Athens is one of the most well-known cities in the world where millions of tourists visit per year. The history and the contribution of the philosophers, scientist, architects and so forth, thrived there during ancient times and still influence many aspects of our lives today. The most interesting fact about the capital of Greece is that it is one of the oldest cities in the world, with records of over 3000 years. 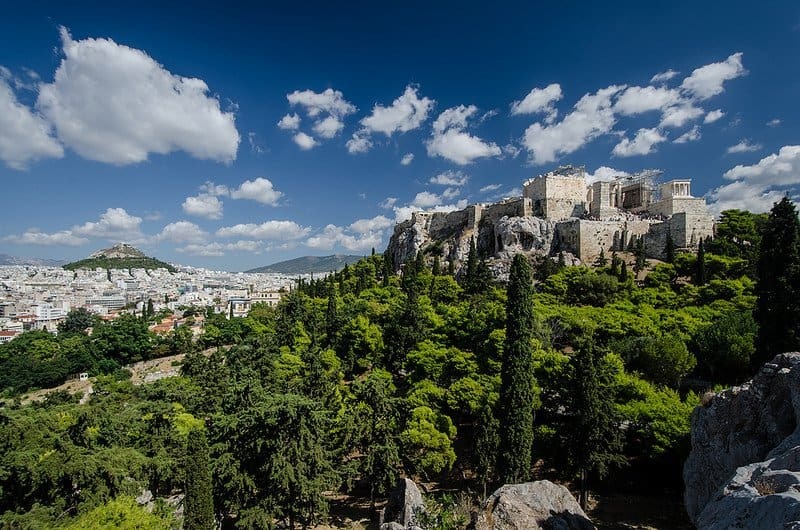 Athens is widely known as ‘the cradle of the Western Civilisation’ as it had contributed to the development of the theatre, philosophy and mostly the birth of democracy. 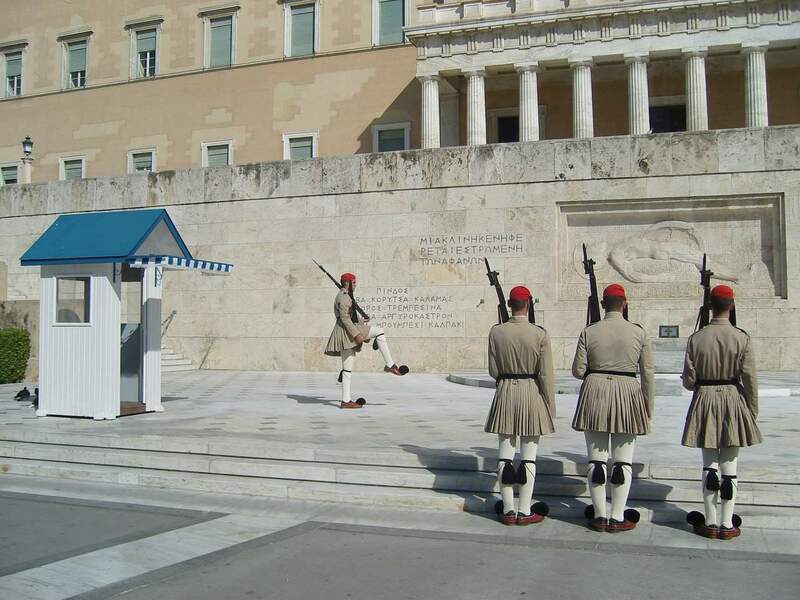 Throughout the country’s history, Athens has played a major role in many political and cosmopolitical events, and so your trip to this stunning city will only enrich your life! One place and so many monuments to admire! The word “acropolis” means the highest point of the city and the highest point in Athens is not the only one in the world, but it is the most famous. The most known monument in the hill is the Parthenon temple, which is the symbol of Greece. It was constructed in honour of the ancient Greek goddess, Athena, from which the city takes its name. The constructions of the temple began in 447 BC during the Golden Age of the city. An interesting fact about the Parthenon is that during the Ottoman Empire it was converted into a mosque. Another important monument on the Acropolis is the Erechtheion, which is located on the north side. It also served as a temple dedicated to the ancient Gods Poseidon and Athena. When in Athens, visit the Museum of Acropolis is a must as it contains artefacts from the long history of the monument! Initially, it was a small museum in the hill of Acropolis, but due to the high number of visitors, it did not function adequately. As a result, it was later decided that a new and larger space will serve better for the purposes of the museum. Today, the new museum is spread over 25,000 square meters and if you want to explore in entirety you will need a few hours to spare. The general admission fee is 5 euros, but there are reduced fees for some groups. The busiest seasons are July and August as there are many tourists who flock to the city and explore the museum. So do plan accordingly. The Lycabettus mountain is one of the highest points in the city, being 295 meters above sea level! According to Greek mythology, it was formed, when the goddess Athena dropped a heavy rock she was carrying after hearing some unpleasant news, but in fact, Lycabettus is formed by a Cretaceous limestone. If you want to get on top of the hill, you can either go on foot or take the ‘funicular’ (cliff railway) all the way up, and admire the panoramic view of the city! At the top of the mount, there is a small chapel and a cafe, where you can enjoy the amazing view. It is definitely a must see landscape, even though not many tourists know about the place. It is one of the most visited locations in the evening, even by locals. Check this post out: Demystifying Umrah: What Muslims Do & How they perform Umrah? The locals and tourists adore the charming and ancient neighbourhoods of Plaka and Monastiraki. Being under the Acropolis hill, it is known as ‘The Neighbourhood of the Gods’. It is surrounded by the neighbourhoods of Zappeio, Monastiraki, Makrigianni and the centre of Athens. The area is very well preserved and it is a great way to spend a few hours exploring the old style architecture. It has a totally different vibe than the rest of Athens. 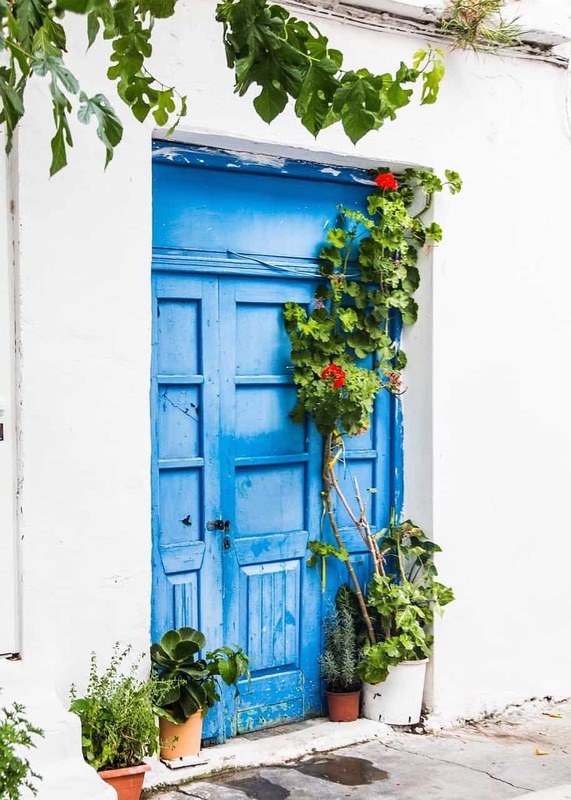 One very famous part of Plaka is ‘Anafiotika’, a neighbourhood resembling very much the Cycladic architecture; whitewashed houses with blue elements on narrow streets. The houses in the area were constructed by builders from the island of Anafi, from where the neighbourhood took its name. Monastiraki is another beautiful neighbourhood in the centre of Athens and it is mostly known for its flea market. You can buy so many souvenirs and gifts to take back home. Just make sure you barter for the best price. The name is translated as the ‘little monastery’. The Monastiraki Square is the centre of the neighbourhood and in the middle, under the Acropolis; you will find an old mosque, which now serves as a museum. It was built during the Ottoman Empire. Ancient Agora was the place where all great things in Athens happened. 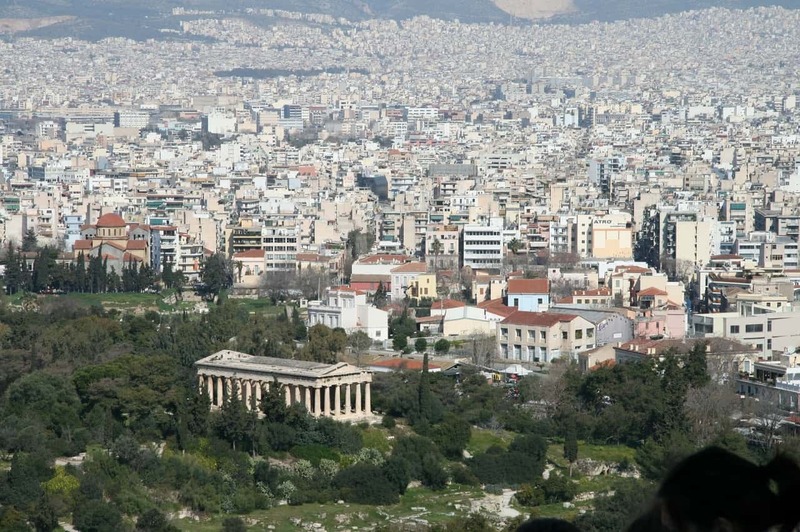 It is also located very close to the Acropolis and Monastiraki. Being the philosophical, educational, social, and economic centre of the city, there are many remains and buildings to admire there. Starting from the Temple of Hephaestus and continuing to the Stoa of Attalos, which today serves as the Agora Museum and there is so much history and architecture to admire. The ruins and landmarks in the Agora are plenty, with the most remarkable ones being; the Temple of Apollo Patroos, Stoa Poikile, and Stoa Basileios. It is highly recommended to explore all of them. Of course, it is high recommended to take photographs of these extraordinary landmarks as they are well preserved, even today, giving you a feel of how the city used to be almost 3,000 years ago. Finding ‘halal’ (permissible according to Islamic law) options in Athens should not be a problem because there is a large Muslim community and some places in the city centre do serve halal meat. Many places, however, cannot be found online. Always make sure to ask if the food is halal and if you cannot find halal options there are plenty of seafood and vegetarian options available. A really good halal restaurant in Athens is Aladdin Kebab House, where Turkish and Middle Eastern food is served. Whilst there make sure you try the very famous Greek Souvlaki. Which is made of pitta bread, usually pork or chicken, tzatziki, fries and salad. It is the most stable food in Greece eaten by local and tourists alike. It’s closest cousin in terms of food will be the kebab, which many say was influenced by the Greek souvlaki. There are many hotels in Athens from five-star luxury properties to budget hotels and Airbnb. Personally due to the fact of immigration in Athens, I would recommend properties that are not in the city centre of Omonoia but rather a little out and safer. My first choice will be the Hilton Athens hotel, which during the sale can be a great bargain. You have amazing views of the Acropolis and Lycabettus as well. Some other hotels in Michalacopoulou will be also a good choice. These are close to the city centre, around 5minutes with the metro but yet in safe areas for tourists. You can, of course, use Airbnb as well, you get £15 discount on your first stay if you sign up via my link. For checking out some hotels you can do that here. Although there is not an official mosque in Athens, there are a few non-official places, you can pray at. Two of the main prayer facilities are the Al Salam Mosque and the Athinais Cultural Centre. The best way to explore the city is by public transport. Athens is easy to explore with the metro, tram and local buses all connecting into various parts of the city. It is easy to navigate and super affordable. A five-day travel card costs 9 euros and a return ticket to and from the airport will set you back 18 euros. All year round. The warm season lasts from June -September with an average daily high temperature above 28°C. The cold season lasts from December to March with an average daily high temperature below 16°C. I would love to see where you have been in Athens or Greece in general. I know it is a very popular destination for Muslims or not and I have seen some amazing photos. So why don’t you share them with me using the hashtag: #MemoriesfromAthens the best ones will get featured on my Instagram account. Would it nice to go there on January and safe for a solo traveler? I know it’s , I could probably overcome that, I’ve been wanting to go to Athens, and I think winter is the cheapest time to go and with my pints and little money would be OK. I would be so great full for your advice and suggestions for a solo traveler. Thank you. So well detailed! 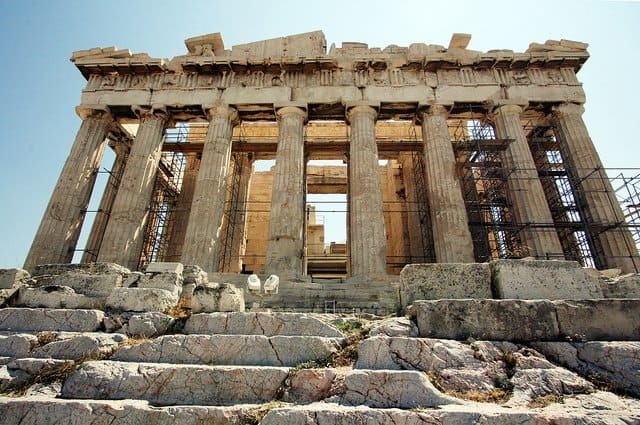 Love this article, Athens has been a huge wanderlust goal for me for a while and your article gives such a big perspective on what to do there for fun and also historical significance 🙂 Great post. At the same time, it brought me so many nice memories.. I was touring Greece with my family (still too young to do it alone) when I was 16 and I love it! I have been back a couple of time, but always on the islands. Anyway, the city is a perfect mix with European way-to-be and ancient buildings and atmosphere. What I loved the most, without any doubt, it was wandering around Plaka and Monastiraki and the Caryatids at the Acropolis.